Assure Hair Oil provides nourishment to the hair from the roots to the tips. It's special non-greasy formula prevents hair loss and helps control dandruff. It also helps in reducing premature greying, improves the hair texture and adds luster. Explore the entire range of Hair Oil available on Nykaa. 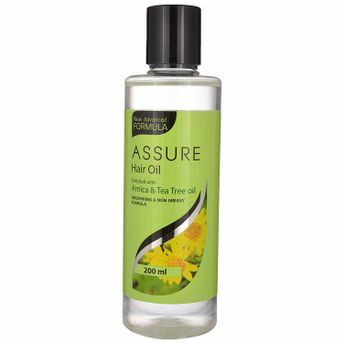 Shop more Assure products here.You can browse through the complete world of Assure Hair Oil .